Cupertino-based technology giant Apple has announced the launch of it second generation AirPods. The updated wireless earphones from Apple come with a wireless charging case that users can opt for and the new H1 audio chip, which is claimed to enhance their performance, battery life and connectivity. Another big highlight of the new AirPods is the hands-free support for Siri. Apple has also announced that the updated AirPods are have now gone on sale via the company’s App Store and its official website in the United States. the newly launched earphones will also be available in Apple Stores next week onwards. The updates AirPods along with the optional wireless charging case can be picked up at $199. However, if you choose to pick up the charging case separately, it can be bought for $79. The new AirPods will go on sale in India ‘later this spring’. In India, the price of the AirPods along with the standard charging case begins at Rs 14,900, however, if you wish to purchase them with a wireless charging case, they can be picked up at Rs 18,900. If you wish to buy the wireless case separately, it is available at Rs 7,500. The new AirPods will be available at all Apple authorised resellers in the country. The key highlights of the upgraded Apple AirPods are the new H1 audio chip, the wireless charging case, and a 50 percent increase in talk time that has been promised by the Cupertino-based technology giant. In addition to this, as we mentioned earlier, the earphones also have hands-free support for ‘Hey Siri‘. It is worth adding that the wireless charging case is Qi-compatible, so it can be charged just by being placed on top of a Qi charging pad. 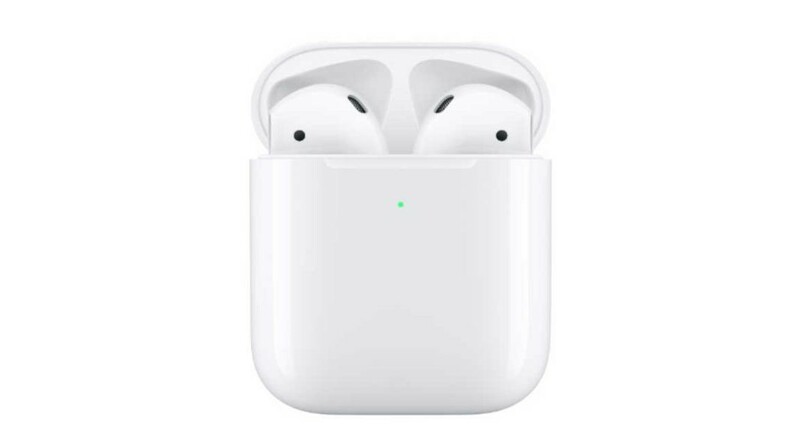 Speaking of the H1 audio chip, it is said to enhance the performance, battery life and connectivity of the AirPods. Furthermore, the ‘Hey Siri’ trigger no longer requires the double-tap gesture to be activated. We should mention that this is a much awaited update as the first generation AirPods were announced in September 2016 along with Apple iPhone 7 and iPhone 7 Plus. It is worth adding that those two were the first ever smartphones by Apple to come without a 3.5mm headphone jack. After Apple, a number of other smartphone companies ditched the 3.5mm headphone jack in their flagship devices too. The upgrade to AirPods, however, was a much awaited one by fans across the globe.